Let us present to you: Hardwell! A boy who takes his love for house music very serious, is step by step and gradually becoming a leading figure amongst the younger generation of DJs. Though Hardwell could never have dreamed what lay ahead of him when starting his DJ career at the tender age of 13. For the last couple of years, Hardwell�s overall talent is recognised by the dance music industry as a new, exciting and refreshing take on a scene that continues to evolve and with an apparent everlasting shelf life! 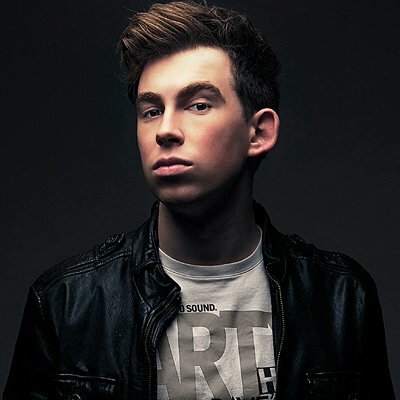 If you want to describe Hardwell�s identity and musical development in one phrase then it can be no other than that he�s now arrived in the "Big Room House" sound and has created his very unique trademark as a dj and producer. With his "Show Me Love vs. Be" bootleg of Steve Angello and Laidback Luke�s track which became one of the biggest dance hits of 2009, Hardwell�s International break-through was a fact! In 2010 Hardwell released some highlight worthy tracks such as, "Red Carpet 2010 and "Feel so High" ft I-Fan which has been licensed to 10 countries, has had great support from the biggest names in the scene and comes with an amazing video! "Guess What", a co-production with Chuckie, is likely to be one of the most played underground house records of the past two years and his "Show Me Love vs. Be" bootleg of Steve Angello and Laidback Luke�s track was one of the biggest dance hits of last year. Did we mention the remixes he did for some top DJs of the DJ Mag Top 100, such as Fedde Le Grand, Armin van Buuren, Tiesto, Bob Sinclar, Chris Lake, Funkerman, Laidback Luke, Sharam (Deep Dish) and Steve Angello? On top of this pronounced success stories, Hardwell�s series of "Eclectic Beatz" belong to the best selling mix albums of the last few years. 10 editions were released. Behind the decks Hardwell never fails to deliver, his exceptional technical skills, variety of music, distinguished looks and that added personal touch make him stand out, and he�s bringing it to the masses now, with performances all over the world! From Sydney to Miami, Amsterdam to London. Also, last summer, Hardwell made his debut in Ibiza, at the 3 biggest venues of this island. Hardwell kicks off the year 2011 with new releases on his own record label, Revealed Recordings, his new compilation series "Revealed" as a sequel to the success of "Eclectic Beatz", an award for "Best New Electro House DJ" by the prominent French music magazine "Onlyfordjs", remixes for the likes of Flo-Rida ft Akon, Clockx, Haley en Gareth Emery & Jerome Isma-Ae and his first release with "Greatest DJ of All Time" Tiesto "Zero 76". There�s a new kid on the block, and he�s here to stay.